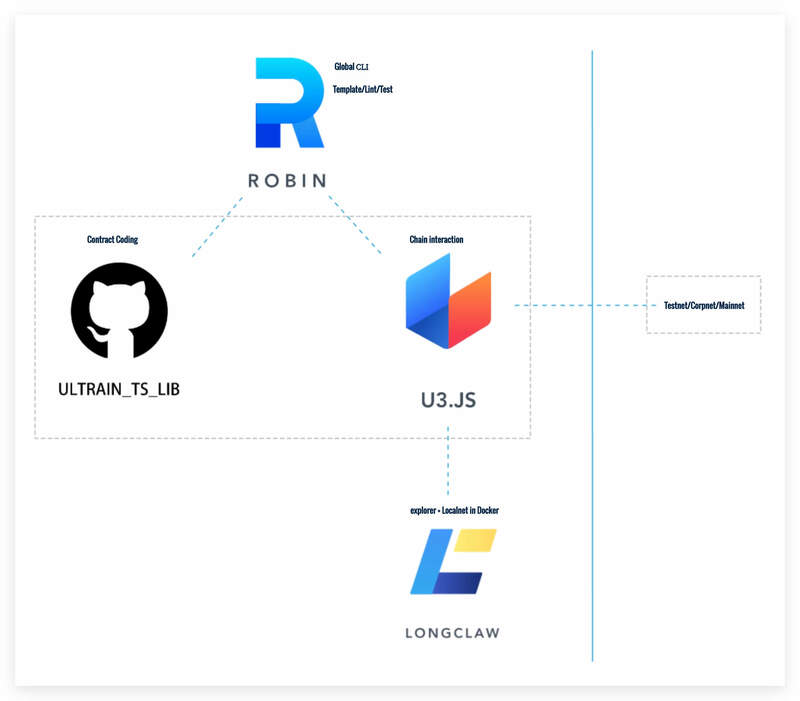 Using the Robin development framework to develop smart contract is mainly used for two libraries, ultrain_ts_lib and u3.js, the former is the basic dependency for writing contracts, and the latter is the SDK for interacting with chains. 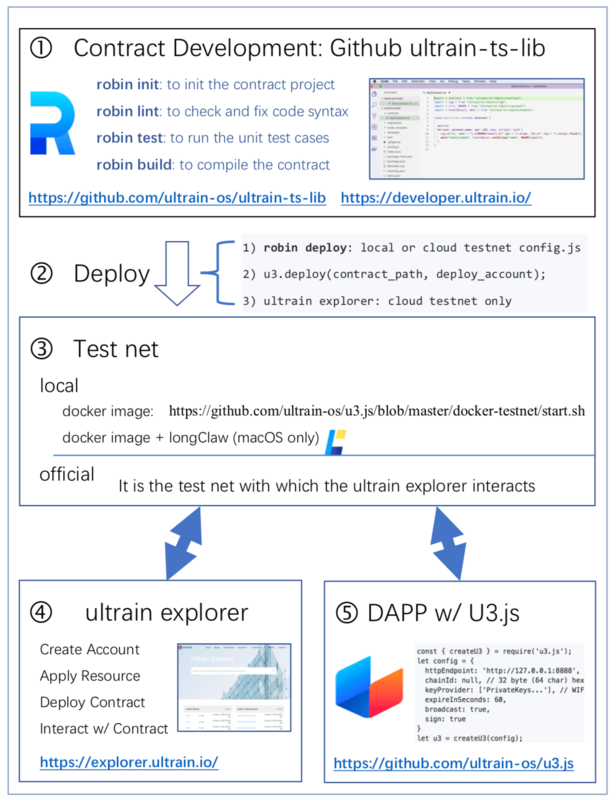 The following documents contain both parts, where all documents under namespace are interfaces of u3.js, including chain, history, ecc, token, utils; documents outside of namespace belong to the interface or class of ultrain_ts_lib. For specific use of these interfaces, please read the following document or tutorial ultrain_ts_lib and u3.js.